Holy Name Manor F.C. 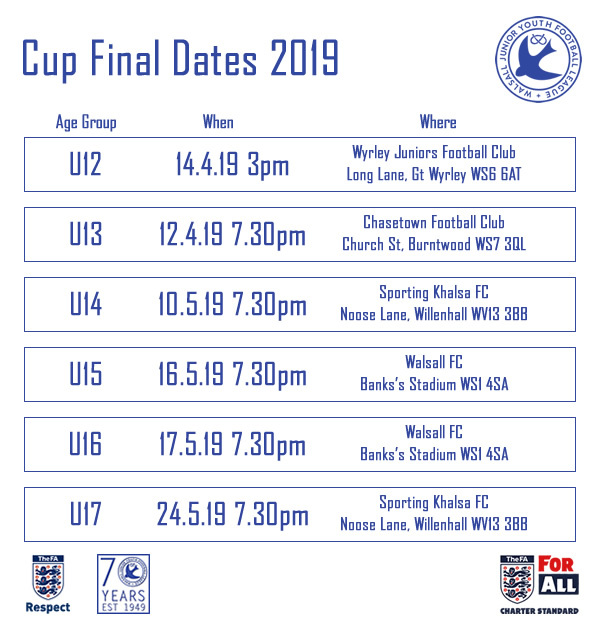 are last seasons WJYL Spring Trophy Winners and they are looking for present Year 7 players as they prepare to step up to 11-a-side in September. We are looking for additional players to join the team as we transition to the 9v9 format. 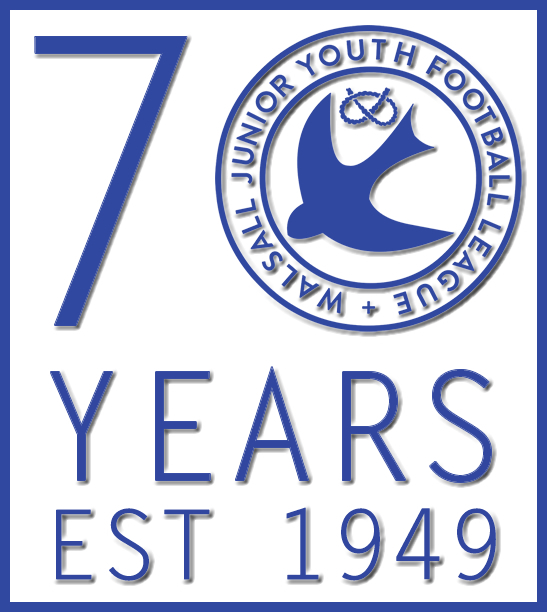 We are based in Wednesfield and play Sundays in the WJYL with a level 1 coach with relevant DBS and first aid certification. If your child fancies a change call Mark – 07712 855342. 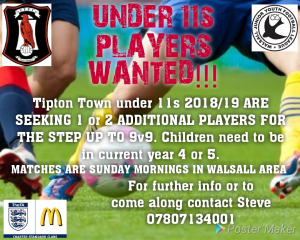 Players Wanted For Bilston Town U11’s. Contact Wayne On ‭07845 003481‬ for enquiries. We are looking for new players in all positions for the upcoming season. We will be playing at under 11’s level, children will be in year 6 from September 2018. 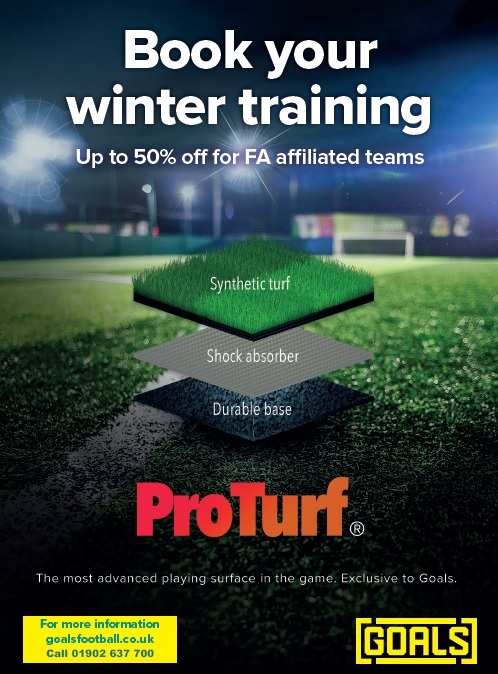 We train on Silverdale pitches on Friday’s from 18:00 – 19:00. 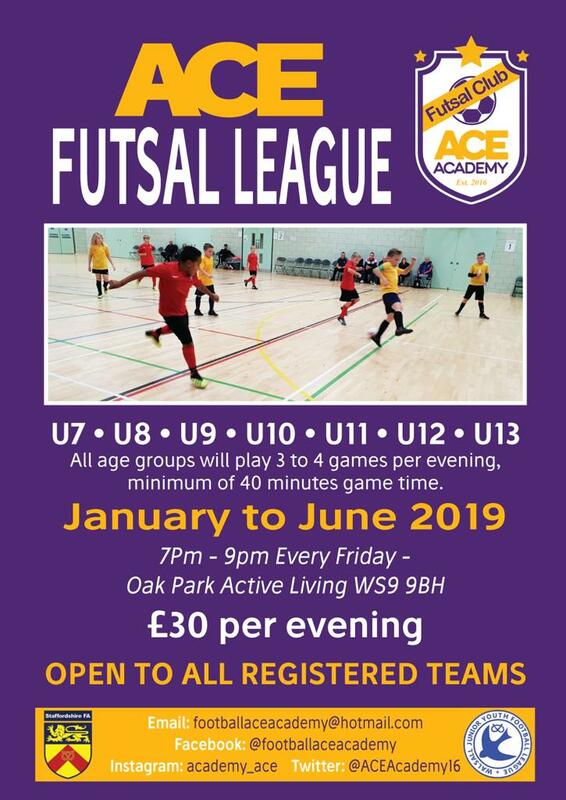 Any enquiries please contact Richard Harris on 07767 605662. Email rharris0827@gmail.com. We are looking for players in all positions including a goalkeeper. Please contact Warren on 07813 659297. Please see the attached advert for more details. We are a Wednesfield (and surrounding areas) based team. Level 1 coach with relevant DBS and first aid Certificates. We are a friendly family team so, if you fancy a change, contact Mark – 07712855342. Walsall Phoenix Tigers U11’s 2018/19. 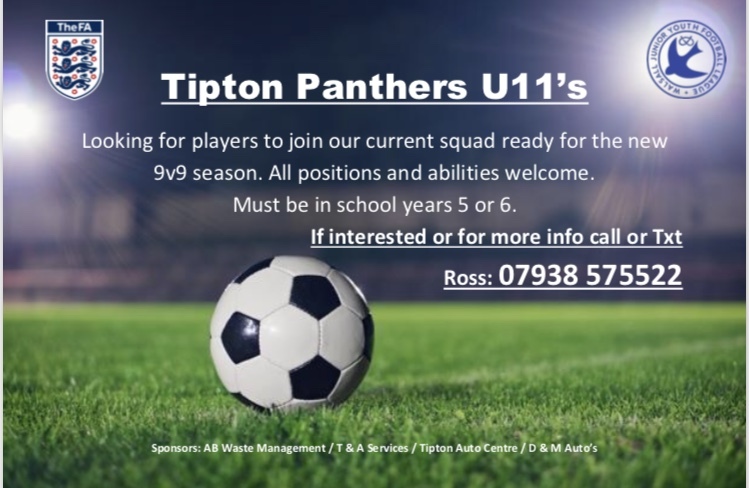 We are looking for new players to add to our existing team to play 9v9 next season in the U11’s league. 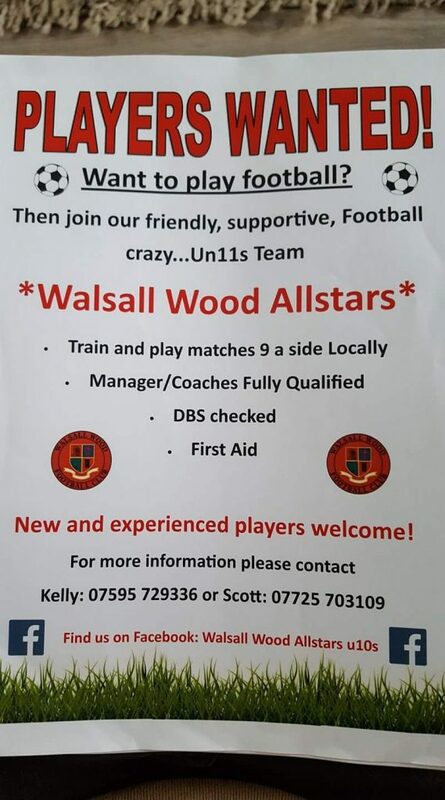 We would preferably like experienced players so whether you are after a change or looking for a team, we train on a Thursday evening at Shelfield Academy and play on a Sunday morning in the Walsall Junior League, we are happy for anyone to come down and train with us and see if they like it. For more information please call Richard on 07871 324900 or email sales@midlandmotormovers.co.uk. 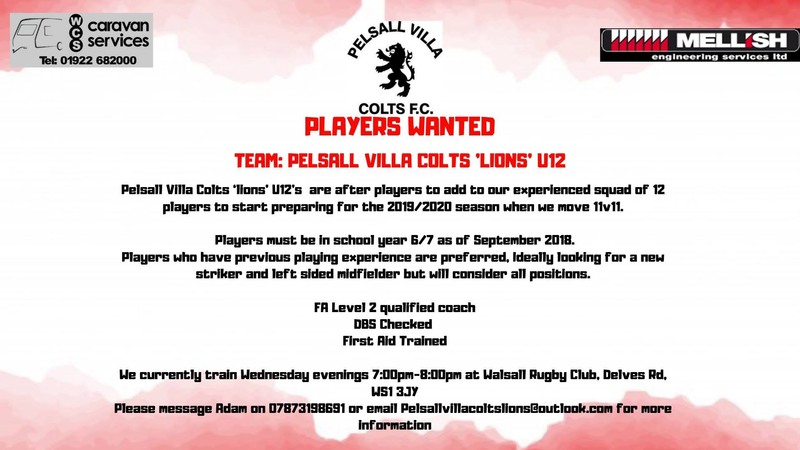 New Park Village u11s current year 5s/year 6 in December Based in Wolverhampton Are looking to recruit players for the coming season in all positions. 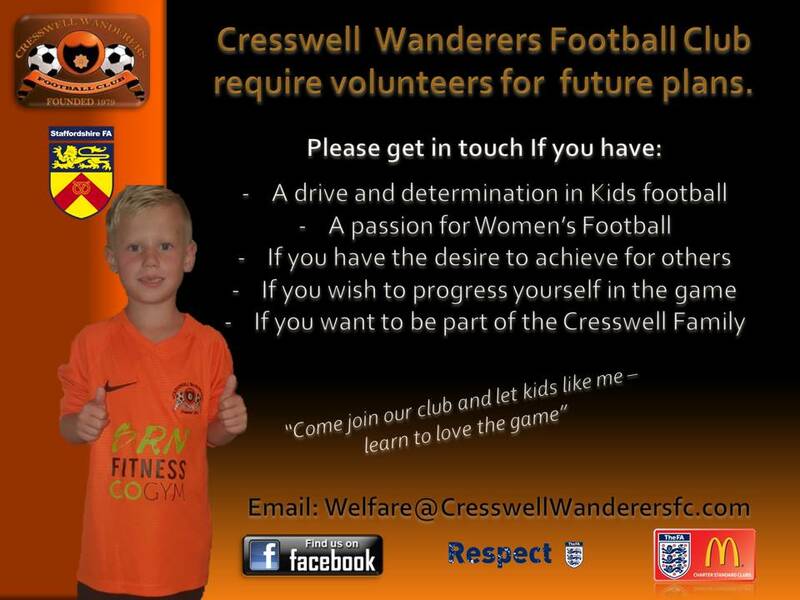 We are a family orientated club with a focus on developing young people rather than result based success. All coaches are FA qualified and DBS screened. 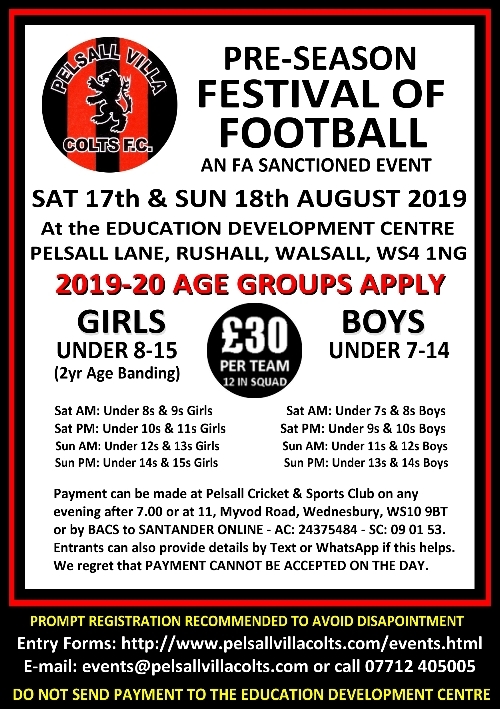 Rushall Olympic FC U11’s for the 2018/19 season are looking for quality players in all positions to compete in the Junior Premier League on Saturday mornings. The Junior Premier LEague is the step below academy football and does not interrupt with Sunday football. If your son is currently in year 5 at school, but will be in year 6 in September then please get in touch with Ryan on 07949724447. All coaches are Fa Level one & level two qualified with first aid & DBS Checks. 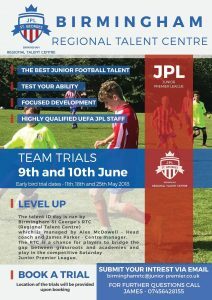 Boldmere St Michaels FC under 11s are on the look out for players for the 2018/19 season. 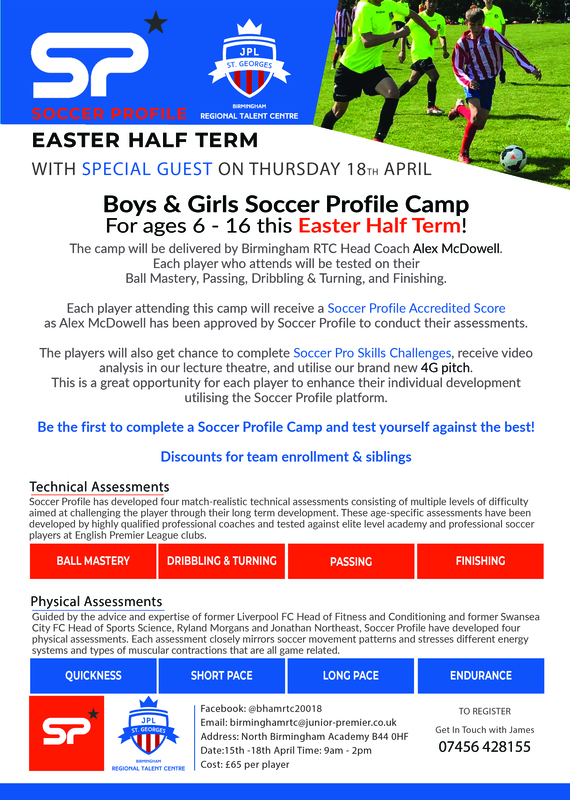 If your child is currently in Year 6, fancies a fresh challenge for under 12 football and wants to improve their football then please contact Ryan Dean on 07949724447. Recruiting for 10/11yrs old players (current YR6). Experienced players preferred. Training on Saturdays/Wednesdays. Great bunch of lads need players in all positions to strengthen team. Please contact Jim on 07854 995561. 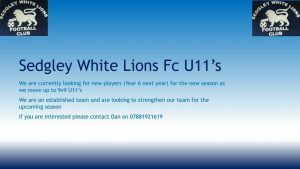 Bloxwich Rangers u11’s are looking for an attacking midfielder and a central defender to join our team. If interested please contact Natalie on 07399611577. 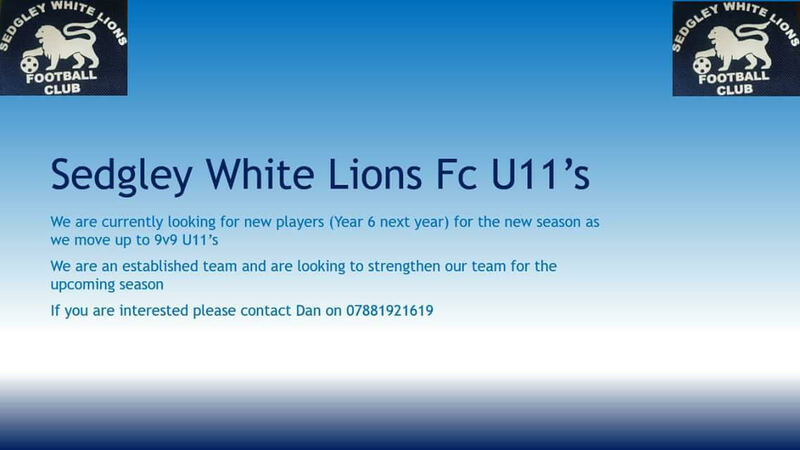 Looking for good, experienced outfield players to strengthen their team. We train Wednesday evening 8-9pm @Wolves Uni (Walsall) as well as Saturday mornings 10.30am – 12noon @Redhouse Park, Great Barr. 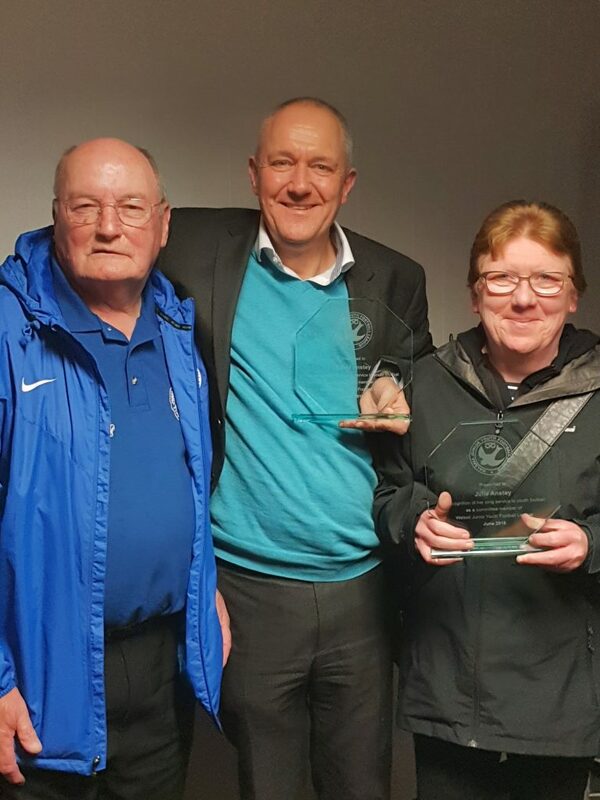 Long established Charter Standard Club & F.A. Qualified Coaches. Please contact Jim if interested on 07854 995561. Cadbury Athletic u11s are looking for a friendly this Sunday morning unfortunately we can not host due to a remembrance meeting taking place on the pitch. If any team would like to accommodate please get in touch. We are looking for a midfielder/defender to join our existing squad of players. as we have a small, well motivated squad.